In 2009-2013 Dan Meridor was Deputy Prime Minister and Minister of Intelligence in the Israeli Government. In 2004-2006 Mr. Meridor was the Chairman of the Committee - appointed by the Minister of Defence - on Israel's Defence Doctrine. The comprehensive report of Meridor's Committee was submitted to the Government in 2006. In 2003 - 2008 Dan Meridor served as Chairman of The Jerusalem Foundation. In 2003-2006 Mr. Meridor was a Senior Fellow at Israel Democracy Institute. In 2006=2009 Mr. Meridor was Deputy Chairman of the Board of the INSS (Institute for National Security Studies). In 2001-2003 Mr. Meridor served as a Minister in the Israeli government, in charge of strategic affairs, and was a member of the Inner Cabinet. 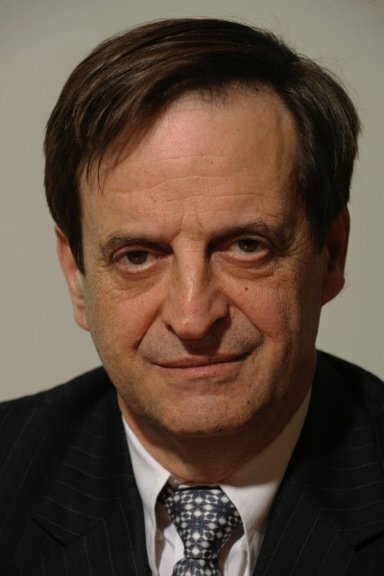 In 1999-2001 Mr. Meridor served as the Chairman of the Foreign Affairs and Defence Committee of the Knesset. In 1996-1997 Mr. Meridor was the Minister of Finance of Israel. As Minister of Finance, Mr. Meridor initiated sweeping reforms in the economy through massive budget cuts, liberalization and privatization. Supreme Court with judicial review over Knesset laws. In 1982-1984 Mr. Meridor served as the Secretary of the Cabinet under Prime Minister Menahem Begin and Yitzhak Shamir. In 1984 he was elected to the Knesset and he served as a Member of the Knesset in the years 1984-2003 and 2009-2013. In the Knesset, Mr. Meridor served on the Committee of Foreign Affairs and Defence, the Committee of Constitution, Law & Justice and the Ethics Committee. Mr. Meridor is a graduate of the Faculty of Law in the Hebrew University and practiced law in Jerusalem and in Tel-Aviv for many years. Dan Meridor is a captain (res.) in the I.D.F. He fought as a tank commander in the Six Days War and in the Yom Kippur War. the Board of the Gesher Theatre. Dan Meridor was born in Jerusalem in 1947, where he lives ever since. He is married to Dr Leora Meridor, with four children and seven grandchildren.